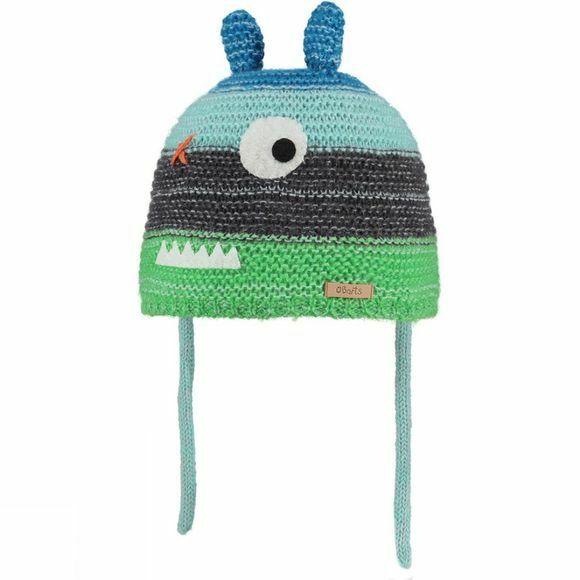 The Cuddle beanie is hand knitted and decorated with a funny face and ears. The beanie is lined with fleece and has two inka cords. It is finished with a small leather brand logo.